An ideal zero waste set for anyone looking to reduce their waste. With 30% off the RRP! This Eco Set is a great way to help a friend on their zero waste journey or introduce them reusables. 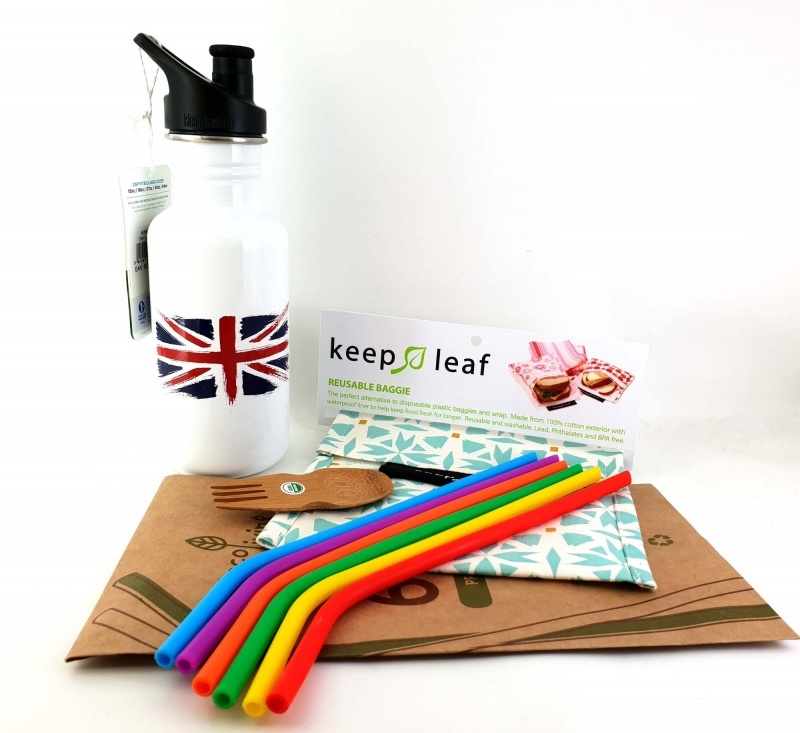 This set contains 1 x Klean Kanteen reusable bottle, 6 x Silicone Drinking Straws, plus carry pouch and plant-based straw cleaner, 1 x Organic Bamboo Reusable Spork, 1 x Reusable Sandwich Bag. An ideal Zero Waste Lunch Set for anyone looking to reduce their waste. With 30% off the RRP! This Eco Gift Set is a great way to help a friend on their zero waste journey or introduce them reusables. This set does not come gift wrapped to save on packaging. All items are 100% Vegan. 1 x Klean Kanteen Stainless Steel Bottle - 532ml/18oz (Sport Cap). A high quality reusable bottle, made with 18/8 Stainless Steel. Includes a sports cap. Lifetime warranty. 6 Reusable Silicone Drinking Straws includes a travel pouch and 1 x plant-based cleaning brush and an organic cotton carry pouch! 1 x Organic Bamboo Reusable Spork. Cross between a fork and a spoon this is a clever and zero waste alternative to plastic utensils. Mini size and perfect for travelling, at home, kids and adults lunch boxes. 1 x Reusable Sandwich Bag, the perfect alternative to disposable plastic bags and wrap. Ideal for sandwiches, snacks, travel and storage. Features: 100% cotton exterior with a waterproof liner to help keep food fresh for longer. Easy and secure velcro closure. Hand rinse, machine washable and dishwasher safe. Colour may vary.